"Angel Baby" by Richard Lange~Explosive! A woman goes on the run in this intense and cinematic thriller by an award-winning writer. To escape the awful life she has descended into, Luz plans carefully. She takes only the clothes on her back, a Colt .45, and all the money in her husband's safe. The corpses in the hallway weren't part of her plan. Luz needs to find the daughter she left behind years earlier, but she knows she may die trying. Her husband is El Principe, a key player in a high-powered drug cartel, a business he runs with the same violence he has used to keep Luz his perfect, obedient wife. With the pace and relentless force of a Scorsese film, ANGEL BABY is the newest masterpiece from one of the most ambitious and talented crime novelists at work today. Published by: Mulholland Books/Little, Brown & Co.
Richard Lange was born in Oakland, CA and grew up in California’s San Joaquin Valley. He is the author of the novels Angel Baby and This Wicked World and the short story collection Dead Boys. 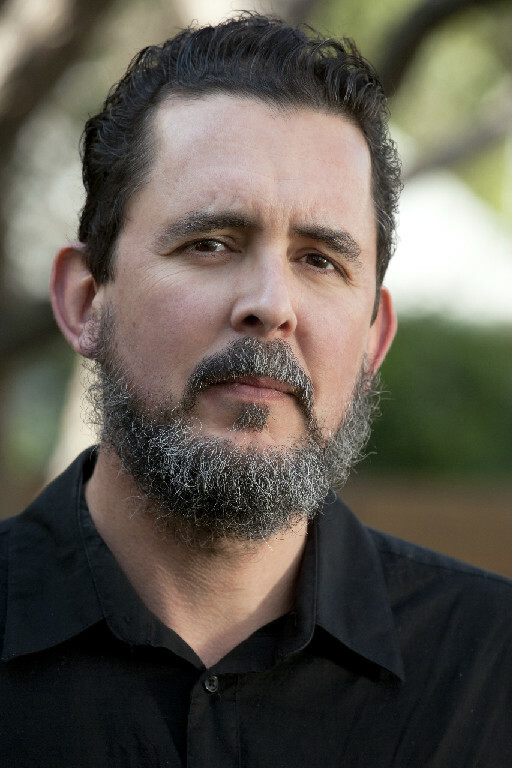 His stories have appeared in The Sun, The Iowa Review and Best American Mystery Stories, and as part of the Atlantic Monthly’s Fiction for Kindle series. When you find yourself rooting for the killer in a grisly crime novel, you know you're in the hands of a real writer. Every character in Richard Lange's Angel Baby feels like flesh and bone, even the ones who show up just to be killed. A rising star in neonoir, Lange follows up his 2009 novel, This Wicked World, with a sharply calibrated and affecting tale about a young Mexican beauty who will do anything to reclaim the baby daughter she left in Los Angeles. The woman, Luz, survived a hard upbringing in Tijuana only to fall under the control of an abusive Mexican drug lord, Rolando, aka "El Principe." After going to great lengths to convince him she is devoted to him, she sneaks off with a pile of his money, killing two of his household staff with his gun. She hires Malone, an American who makes a living smuggling Mexicans across the border, to drive her to California. They are quickly pursued by Jerónimo, a one-time LA gang member whom Rolando springs from a Tijuana prison to bring back Luz, and Thacker, a corrupt U.S. Border Patrol agent. Jerónimo, a reformed soul whose wife and daughter are being held by Rolando until he returns with Luz, strikes an uneasy alliance with the slovenly, unreformed Thacker: He'll get Luz, and the border cop will get the money. Malone, who is haunted by memories of seeing his own little girl run over by a car, becomes committed to Luz. The twisting plot thickens when Rolando orders Jerónimo to bring back Luz's child as well. Unlike most such stories, this book is driven not by greed or revenge but by parenthood, and Lange doesn't subscribe to the usual moral checks and balances. In all other ways, however, he embraces classic noir in all its violence, bleakness and dark humor. He makes readers care about his flawed characters and appreciate the odds that were stacked against them by the circumstances of their upbringing. A film waiting to happen, this book boasts memorable characters, evocative settings and a suspenseful plot. Wow! This is a book that starts off running and gallops through to the end! It's heart-thumping and hair-raising. Every page is action-packed. I loved it! Not to be missed book for this year, it's one of the best in this genre. I can absolutely see a movie coming out of it! Richard Lange is an author who stands alone in thriller/suspense novels, and I'll be reading every single thing he writes. Lange knows how to grab your attention from the first words he writes. There's not a boring section of this book. He offers up one hard-hitting, plot-building impact after another as we follow his protagonist, Luz, struggling to escape her gangster boyfriend and find her child. The central figures of the book also include men who are both gravely dishonest and greedy, as well as having time-bomb agendas that motivate them. While they serve to hunt down Luz, or work to help her survive, they hit some rock bottom, personal tests of their own. It's a cat-and-mouse race with horrendous, deadly consequences for Luz and the men surrounding her. This is psychological and physical drama with killer impact. This novel is obviously one in the hands of a master storyteller. It's violent, but it's as subtle in that as a stealthy animal only seeking to defend itself. I never felt there was gratuitous violence, but it was in keeping with the storyline. This book is held well in control of every word and movement. Never a scene that wasn't pitch perfect, albeit dark and fast-paced. 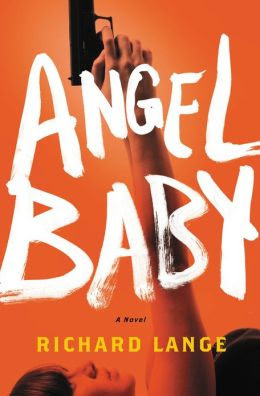 In "Angel Baby," the difference between a mediocre novel and one that will keep you spellbound is clearly found. I may have to nab this one. Thank you for sharing. The information is very nice, thank you very much for sharing this useful information. Many important thing I got from this article that you write. Still share things more interesting, ok !! !